I took my annual photo on the shores of the Baltic Sea. 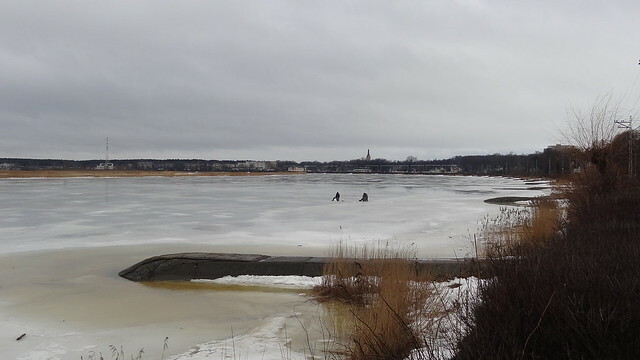 For the past two years I’ve happened to be in one of the Baltic nations (Estonia, Latvia) in the month of March and this year was no exception. I’ll continue my streak with next year’s basketball tourney in Lithuania. I’ve never been here during the summer where it must be much nicer. The Baltic reminds me of Lake Superior, with its majestic pine trees, cold winds, and icy waters. The Baltic is brackish (lower salt level than ocean) and one of the largest inland seas in the world. 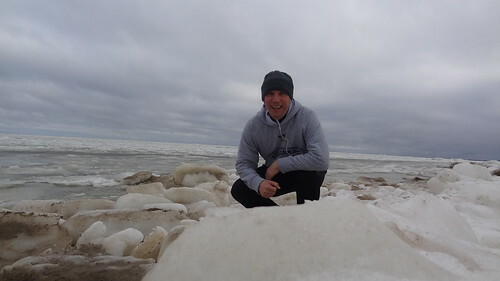 I really enjoyed running on the icy beach in my stay in Jurmala. The coaches stayed in the resort town of Jurmala, which means “seaside” in Latvian. The town was a favorite of the Soviet leaders when the country was Latvia S.S.R. Today it still has a lot of Russian tourists. The school hosting the tourney this year, the International School of Latvia is about halfway between Jurmala on the coast and the capital city of Riga. Another highlight of my stay was the extensive spa located at the hotel. After a tough day of coaching, it was nice to relax. The spa featured three different temperatures of saunas, a Turkish-menthol steam bath, a salt sauna, swimming pools and cooling pools. I learned that I break out in red tiger stripes when I spend anytime in the 110C sauna, even when I take crushed ice in and put it on my head and back. It is also cool that my home in the village of Caspian, Michigan is located on Baltic Avenue. Now I just need to see the Caspian Sea to complete my journey. I hope to come back to Latvia again sometime!